The Mission Viejo Montessori Toddler Program (Butterfly) serves children from 1 year to 2 years, maintaining a ratio of one teacher to every four students. 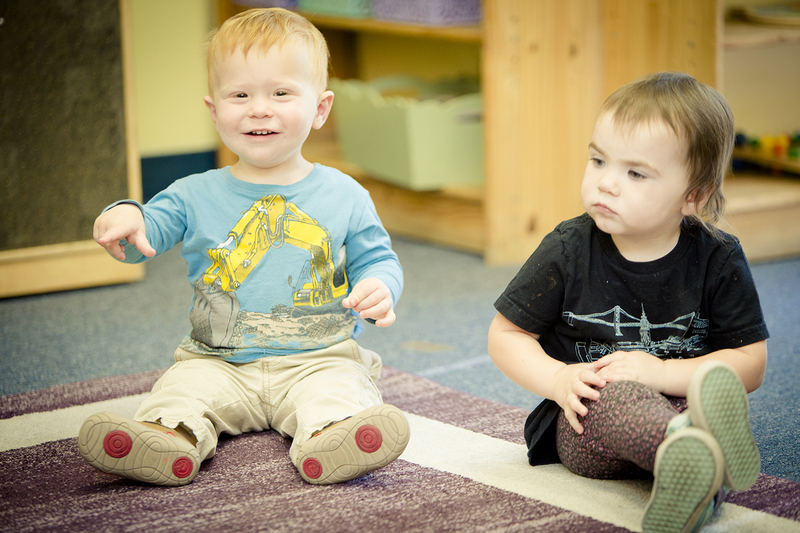 Our toddler room teachers are trained in Montessori Education and each has an extensive background in Early Childhood Education. These backgrounds and training allow our teachers the abilities to create an individualized curriculum for each pupil. The curriculum programs incorporate the major domains of social-emotional, language, cognitive, and perceptual and motor development while providing safe environments and an emotionally secure base for active, playful exploration and experimentation in a small group setting. Our teachers strive to develop partnerships with children’s families to connect their experiences at home with their experiences in our toddler program in order to promote their social-emotional well-being, the development of their identity, and learning. The toddler classroom is designed with each child’s growth and development in mind through a rich and well-planned environment in order to provide a special place for our toddlers to begin their steps towards independence and self-discovery. 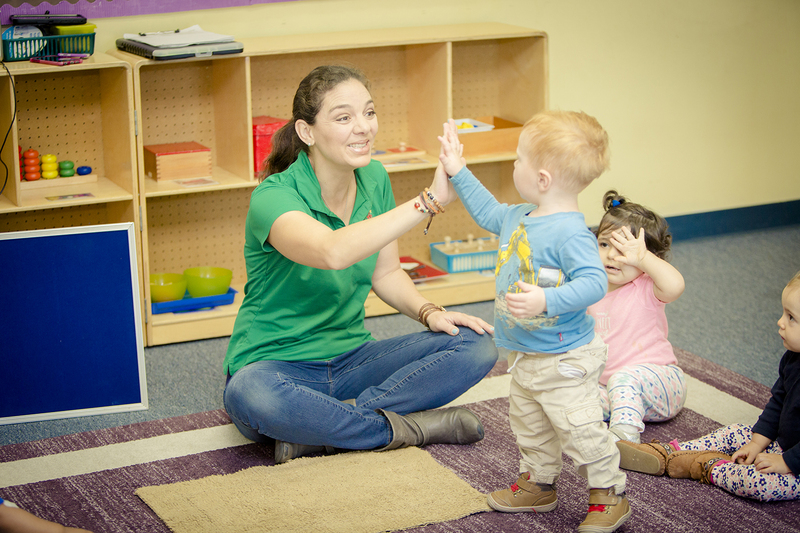 Our nurturing and dedicated teachers create an individualized curriculum to promote cognitive and language development, development of fine motor and gross motor skills, and social awareness. Singing songs, reading books, playing music and learning sign language is also an integral part of the curriculum aligned with our “whole-child” approach. We strive to create an environment that nurtures every aspect of a child’s development — cognitive, physical, social and emotional. Just like our primary curriculum, our toddler curriculum includes Practical Life, Sensorial, Language, Math, and Cultural areas with monthly thematic units. Our teachers design the curriculum and rotate the materials in the classroom to reflect their thematic unit. Our toddler program prepares children for our preschool classroom in which children work on fine motor skills for pre-writing and pre-reading, along with number recognition and letter sounds and recognition. Potty training is offered as part of our curriculum at no extra fee. Every day, our teachers keep a log of each child’s feeding/diapering/nap schedules as well as any other information and milestones parents may need. Communication between parents and teachers is greatly valued, and our teachers are always available to discuss any concerns or questions you may have.